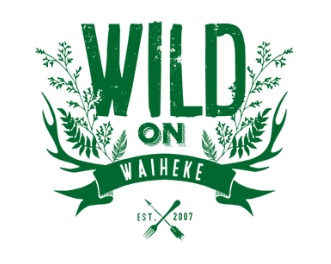 Wild on Waiheke is the home of Wild Estate Vineyard & Restaurant, Waiheke Island Brewery, and a relaxed giant outdoor beer garden. It’s a place you can unwind, relax & chill out amongst the vines and rolling hills. Overlooked by the green, lush forestry of Te Putiki O Kahu Hill (a fortified Maori settlement first inhabited 700 years ago), you’ll feel as though you’re in a hidden and luxurious retreat nestled right amongst the vines. Here you can come and roam wild for the day. Enjoy cracking food matched with our handcrafted beers while contemplating a sedate game of petanque. Hit the tasting room for a sampling of our wine & beer. Watch the kids play on our playground while enjoying our epic food and craft beer in our licensed restaurant and brewery, Or bring your friends or colleagues and have a go at archery, wildtag & laser claybird shooting.. all set within the magic of a boutique Waiheke vineyard. We cater for everyone from singles, couples, families, groups. Function rooms, and corporate team building and and meeting area available. SUMMER HOURS - Open December 2018 to April 2019 7 days week Lunch 11-4pm & Tastings 11-5pm. Real Food. Real Goodness. Real Simple. Thomas's Bach.At Thomas's Bach - Vineyard, Restaurant & Cellar Door you can enjoy spectacular views from Coromandel to the . . . More . . . Delicious Food - Great Taste - Great Price - Come Hungry, Leave Happy! Ajdaz Indian Cuisine's Restaurant is a great place for a meal out . . . More . . .